How do you know an OA journal is legitimate? As a researcher or scholar under pressure to publish, you may accept solicitations to submit articles for publication even if you are not familiar with the journal or publisher. Some of these offers are legitimate but others turn out to be scams. It is wise to take a few basic steps to learn more about a new or unfamiliar scholarly journal. 1. Does the journal have an International Standard Serial Number (ISSN)? 2. Does the website provide complete contact information: email, street address, working phone number? 3. Does the website list any fees which authors may be charged for publishing their article (yes, subscription journals can charge fees too)? 1. 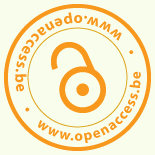 Is the journal listed in the Directory of Open Access Journals (DOAJ)? The DOAJ vets journals before listing them. However, there is a significant backlog of journals waiting to be listed, and not all legitimate open access journals are listed in the directory. 2. Is the publisher a member of the Open Access Scholarly Publishers Association (OASPA)? Many of the largest open access publishers are members of the OASPA, though there are legitimate open access publishers that do not belong. While this list isn’t exhaustive, you get the idea. The more ties to well-known organizations and the more a journal follows best practices, the more likely it is to be a legitimate operation. Read more about the conversation around shady scholarly publishing practices in this April 2013 New York Times article and in Public Library of Science co-founder Michael Eisen’s effective response.